Though it's still over a month away, is around the corner, and as with any big family celebration, you never know what will happen. Of course, everyone is entitled to differing views and political leanings, but when it comes to the , these should all be politely left at the door. So what do you talk about when many of these popular topics could cause conflict when you’re trying to keep the peace? Let’s be honest, the weather is not an option. 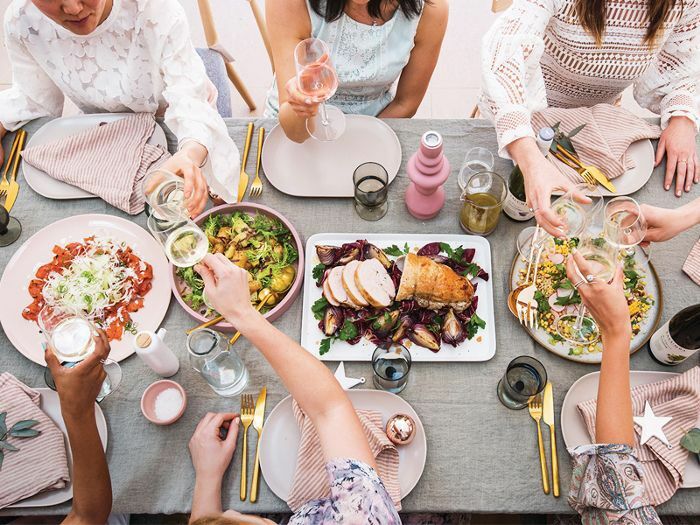 Thankfully, we prepared a few to steer table talk in a safe direction since you never know who you’ll end up sitting next to at dinner, especially if there’s a seating chart. To avoid awkward silence and ensure that the holiday goes off without a hitch, think of a few positive subjects to discuss that go beyond commenting on the weather. Need ideas? Here are 32 party conversation starters to get you through the holiday season and beyond.